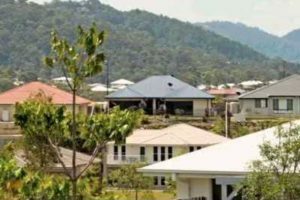 Pacific Pines is located at the Northern end of the Gold Coast next to Gavin and across the M1 motorway from Helensvale. Pacific Pines has its own local shopping centre but is also very close to the Helensvale Westfield shopping centre as well. Pacific Pines has its own Pacific Pines State Primary School and Pacific Pines High School. Many properties in Pacific Pines have elevated views of the Gold Coast. We specialised in pre-purchase building and pest inspections in our local Pacific Pines area. Our Pacific Pines building and pest inspectors are both experts in their own fields, with years of experience and knowledge behind them. You are welcome to join them during your inspections and your inspectors will discuss their findings with you while you are all at the Pacific Pines property. We work 100% independently for our clients, unlike most franchises and inspection companies who have many affiliations with agents, conveyancers and solicitors that they rely upon to refer their services. This always comes at a price and that price means your inspectors are not working for you, they are working in with those who refer their business to you. Our own customers have been referring our services to their family and friends for over 10 years. Being independent of outside influences allows us to protect only your interests when purchasing your Pacific Pines property. We will not discuss anything from the inspections with agents, property owners or property managers without you giving prior permission for us to so. Find our more about our inspections here. View reviews & comments from some of our happy Pacific Pines customers who we have undertaken building & pest inspections. Thank you so much for your report and your level of care and taking the time to speak with me. After reading the report and speaking with my partner and family we have decided to terminate the property contract. The issues with the firewall could have cost us thousands of dollars which is not what a couple wanting to plan a family wants. I work in customer service and have to say your service right from my first phone call with Sue to receiving our report and speaking with you has been second to none. We will be highly recommending you and your company and will be using your services on our next find. My faith in human nature and goodness in the world has just gone up a fair notch, after taking a hit from the real estate agent! Allied will be the first company I contact if I ever do this again, and you are the one I will recommend to my friends and family. Thank you very much, this is really appreciated. Thanks for spending the extra time with us after our building inspection. This is our first home and we nearly made a big mistake. We have learnt a lot about houses from you and what to look for and will definitely recommend you. Thanks Pete. Thanks! It was nice working with you. Thanks for your great work. Any friends we know who need an inspection – we will recommend you again.